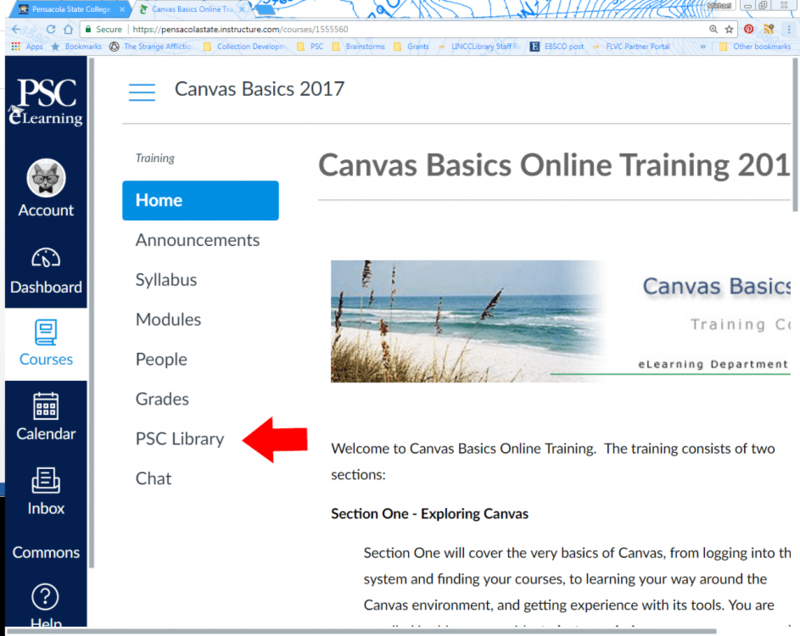 Log into your Canvas/E-Learning account here. Once you have logged into your account, click into any of your class modules. 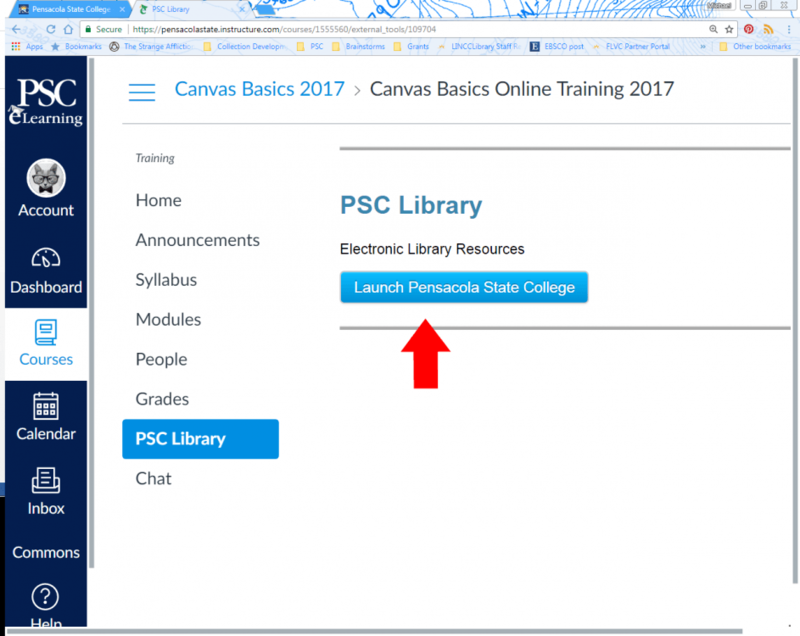 Click the “Launch Pensacola State College” button. You should now be logged in (look for your first name at the top of the screen). Click “Library Home Page” to continue! For online library use only, the Fla. State library number listed in Spyglass may be used as the borrower ID number. For information on how to obtain your card, refer to the chart below. Can’t find what you’re looking for at the PSC Library? Have no fear! The Interlibrary Loan Office can help you by requesting articles or books from another library. Please note: current textbooks will not be requested. PSC students and instructors can access a world of articles and journals at no charge by using library databases. We use the term “database” to describe an online resource that allows you to search information contained in a variety of published works. Each databases searches thousands of journals and provides links to millions of scholarly, peer-reviewed articles. Unlike searching the Web for a website, using the databases provided by the Library will help you find reliable information from trusted sources. Some databases contain information about a single subject; others provide information covering a wide range of fields and subject areas. Most databases charge an annual subscription fee, but library databases are paid for by The State of Florida and Pensacola State College. 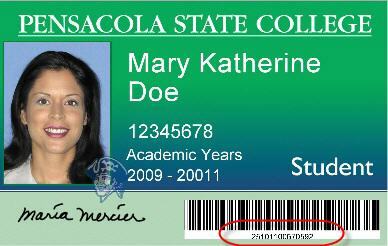 All databases listed on the PSC Library site are free of charge to current PSC students and instructors. How is a library database different from a Web site? Library databases get their information from professionals or experts in the field. Web sites can be written by anyone regardless of expertise. Library databases contain published works where facts are checked. Web site content is not necessarily checked by an expert. Library databases are easy to cite in a bibliography and may even create the citation for you. Web sites often don’t provide the information necessary to create a complete citation. Library databases can help you narrow your topic or suggest related subjects. Web sites often aren’t organized to support student research needs. Library databases are updated frequently and include the date of publication. Web sites may not indicate when a page is updated. Need to find articles from magazines and journals, but don’t know where to start? Check out this handy Quick Guide to get started. The following databases, arranged in subject order, will help you to get started with your research. CQ Researcher Plus Archive (CQ Press), in addition to “hot topics”, explores a featured issue each week using charts, graphs and sidebar articles. Biography in Context (Gale) provides biographic information for people in all disciplines, places and times. CINAHL Complete (EBSCOhost) is the world’s most comprehensive source of full-text for nursing & allied health journals. New York Times Historical (Proquest) searches full-text and full-image articles for The New York Times®, covering the period from 1851-2011. Literature Resources/Artemis Literary Sources (Gale) provides biographies, critical analyses, and overviews of works of literature from all time periods. Literary Reference Center Plus (EBSCOhost) includes plot summaries, synopses and work overviews, articles of literary criticism, author biographies, and more. PSC Reference Librarians are here and happy to help you get comfortable with using library resources. Please contact us! These guides provide access to resources (library catalogs, article databases, background information, web sites, and more) organized by topic. These were created by the librarians responsible for the areas of study listed. For immediate help, contact a Reference librarian. Modern Language Association (MLA) — Official guidelines on MLA documentation style authorized by the Modern Language Association of America. MLA Formatting and Style Guide — The Purdue Online Writing Lab (OWL) provides information on format, in-text citations, citing of sources and much more. MLA Documentation of Electronic Sources— Valencia Community College addresses electronic resources which students at Florida community colleges are most likely to use for research purposes. APAStyle.org — Official APA site with examples for documenting electronic resources. APA Formatting and Style Guide — From the Purdue Online Writing Lab (Owl) provides information on format, in-text citations, citing of sources and much more. APA Documentation of Electronic Sources— Valencia Community College addresses electronic resources which students at Florida community colleges are most likely to use for research purposes. Turabian citation guide – prepared by Pensacola State College library staff and History department faculty. Based on the 6th edition of A Manual for Writers of Term Papers, Theses, and Dissertations by Kate L. Turabian, Chicago, University of Chicago Press, 1996. A copy is located in both the Pensacola and Warrington campus Libraries at LB 2369 .T8 1996 and in Reference at the Milton campus Library. Online sources are based on The Chicago Manual of Style, 15th edition, Chicago, University of Chicago Press, 2003. Chicago Manual of Style Online – includes Chicago-Style Citation Quick Guide.